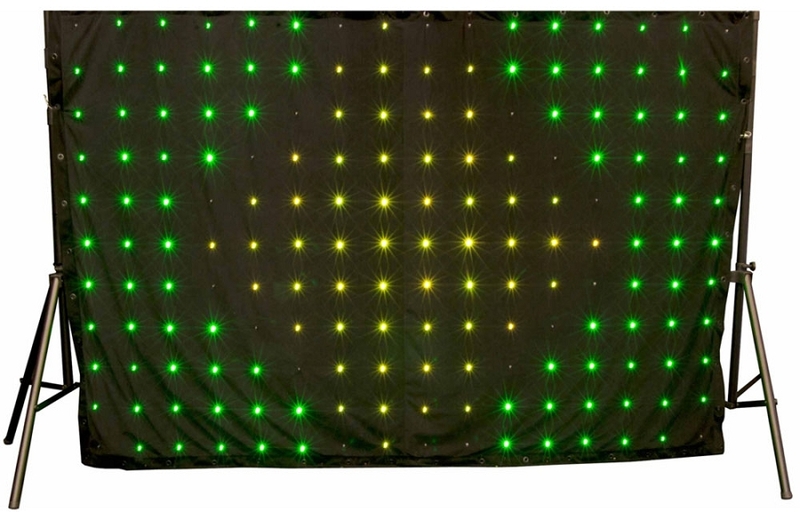 The Chauvet DJ MotionDrape LED is a backdrop for any mobile performer. 176 tri-color SMD LEDs matrixed across the 6.5ft-by-9.8ft backdrop can be controlled via the included controller or via DMX. This impressive display has 30 animated effects that range from color fades to a graphic equalizer effect. For added convenience the MotionDrape LED has grommets around all sides to make hanging a breeze and is perfectly sized to fit on our CH-31 T-Bar and TRUSST Goal Post Kit portable trussing systems. The Chauvet Motion Drape is Awesome.